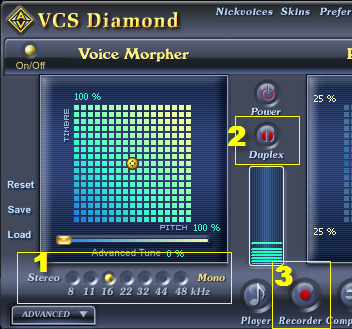 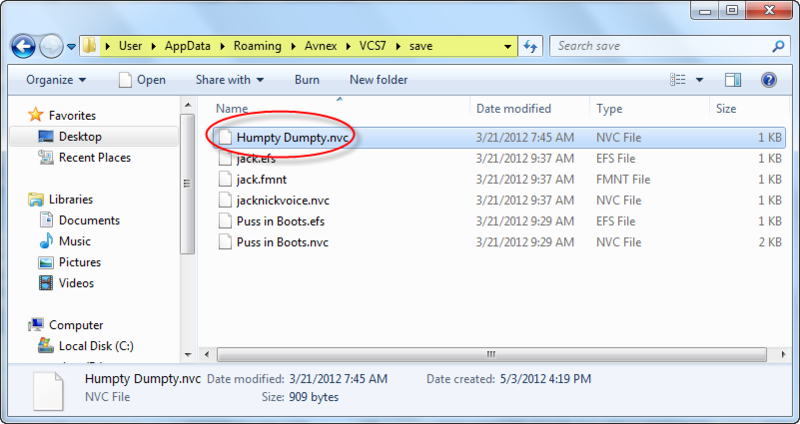 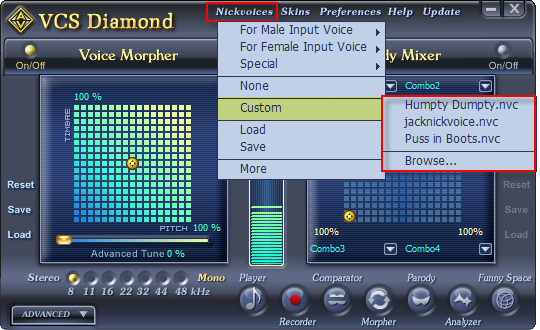 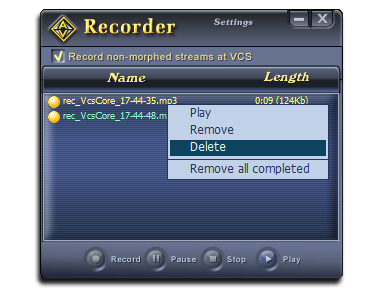 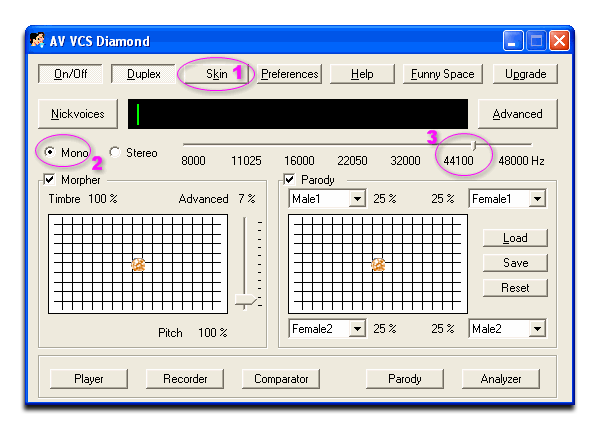 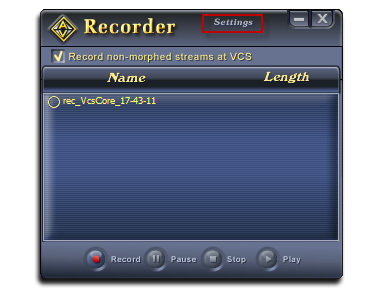 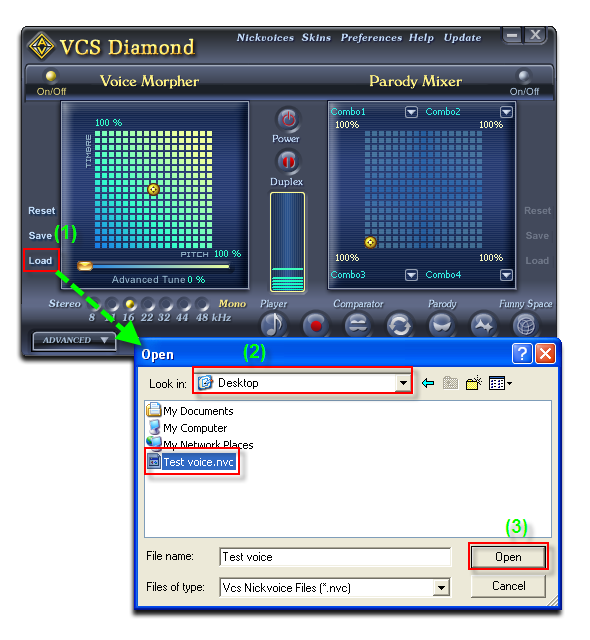 Use AV Voice Changer Software Diamond 7.0 to make your voice more amazing with useful tips. 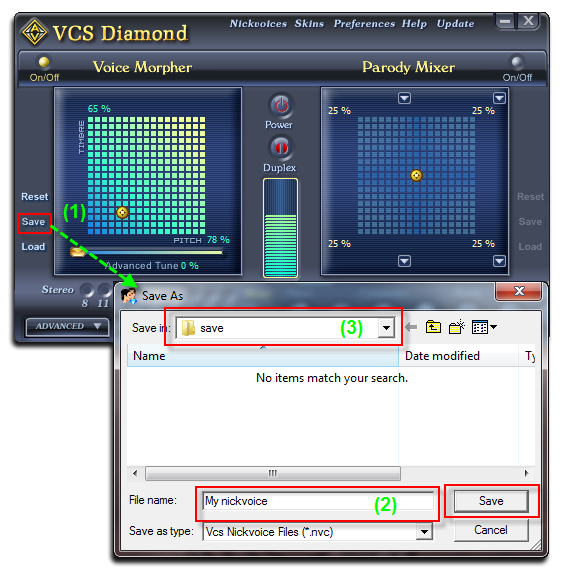 In this tutorial, we will show you how to apply background effects in AV Voice Changer Software Diamond 7.0. 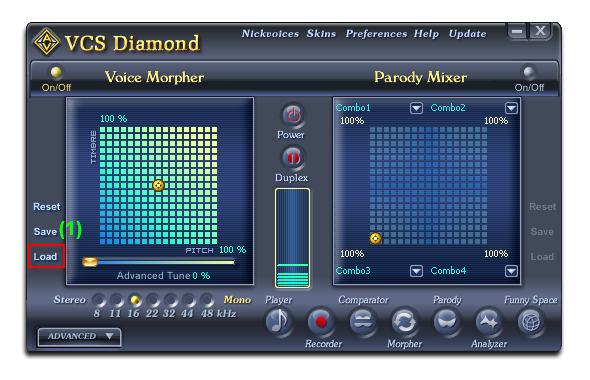 You can sound like walking in the forest, stuck in a traffic jam, and many other effects which are in high quality. 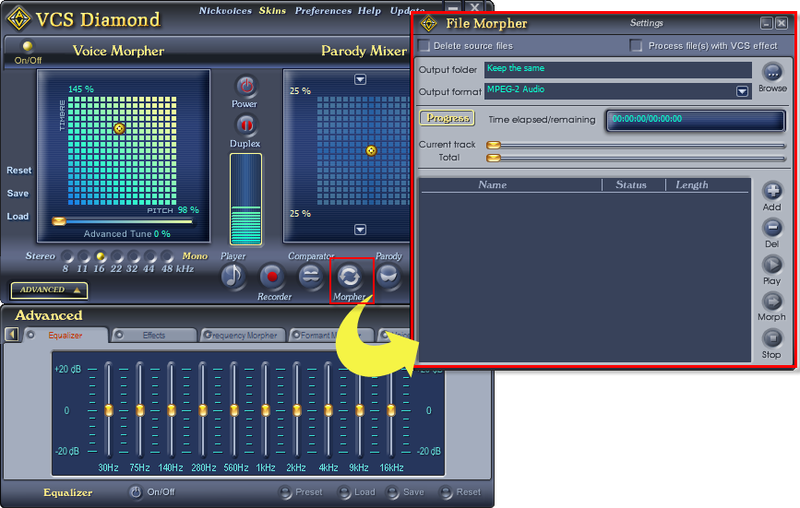 On the main panel, click the Advanced button (1) to open the Advanced panel. 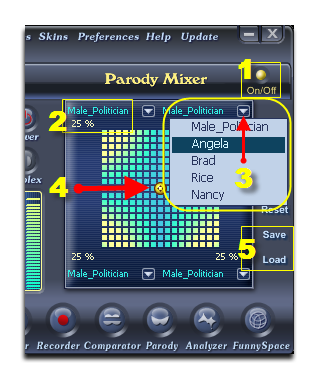 Select Background Effects tab (2). Select ON/OFF (3) on this tab to activate it. 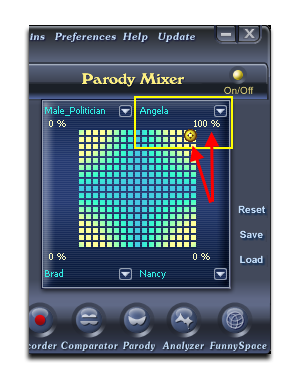 When the button is red, Background Effects feature is ready for use. 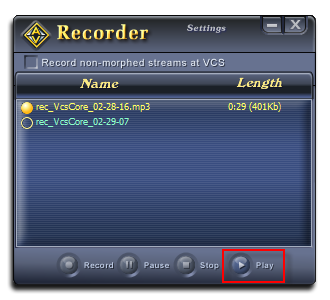 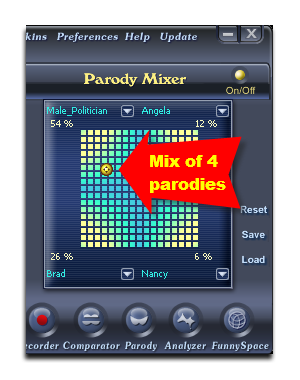 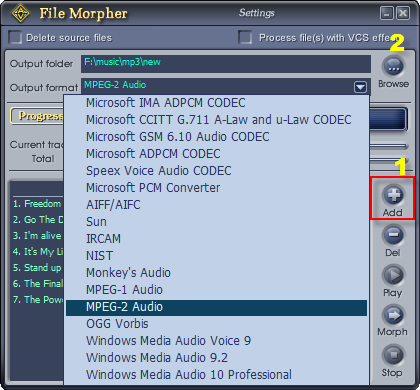 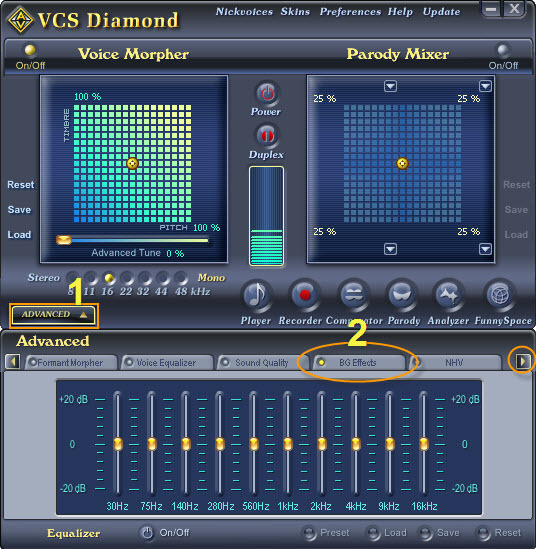 Select effects from AV Voice Changer Software Diamond 7.0’s library. 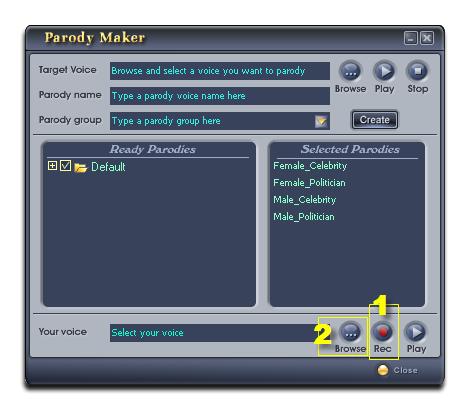 Click Create Group button (4) to add a new group. 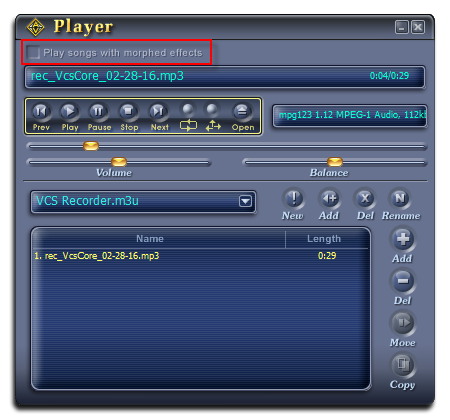 The Create a new group dialog box appears, type the group name into the Title textbox, then click OK to finish and close the dialog box. 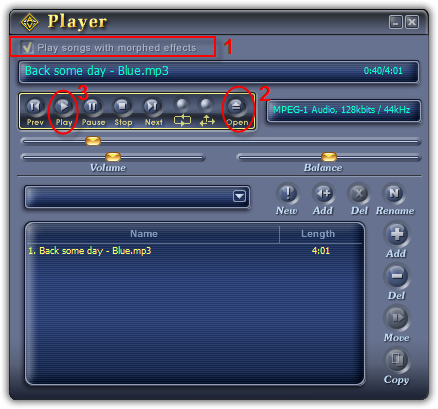 The new group will be listed at the end of the Background Effect tree.. 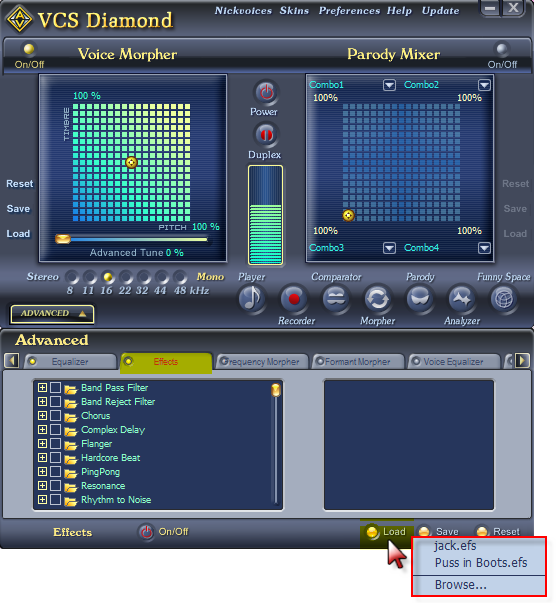 Tip: To delete a group from the effect tree, right click it and choose Delete. 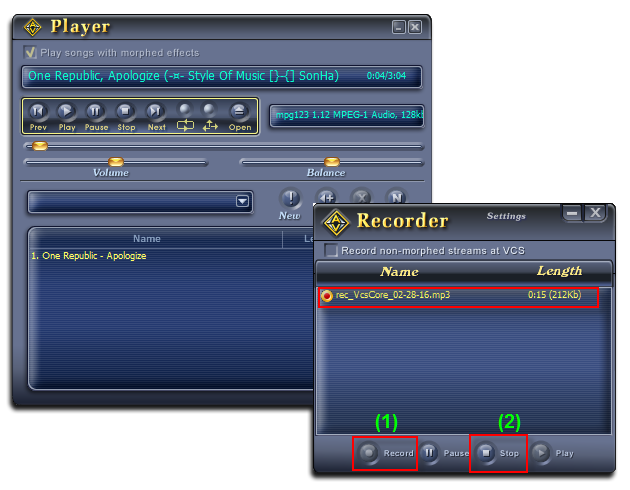 Select from the Group dropdown list (6) the group you want to place the new effect in. 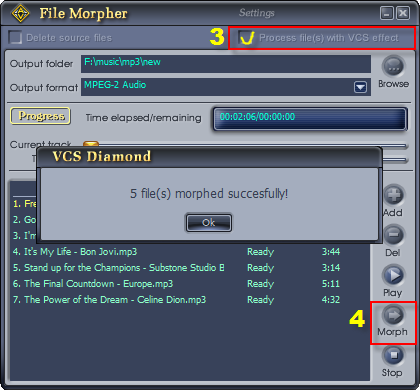 Type the name of the new effect into the Description field (7). 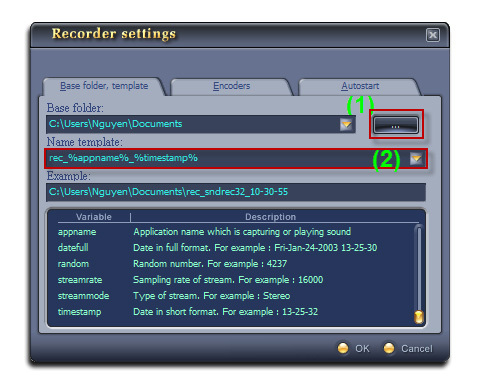 Specify the audio file that will be added as the new background effect using the Browse button (8). 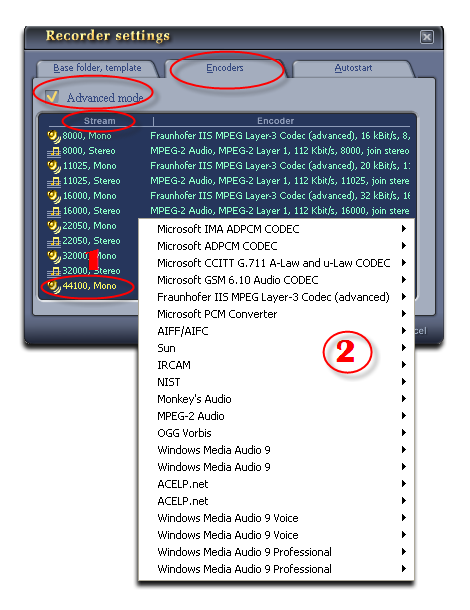 Click OK to finish and close the dialog box. 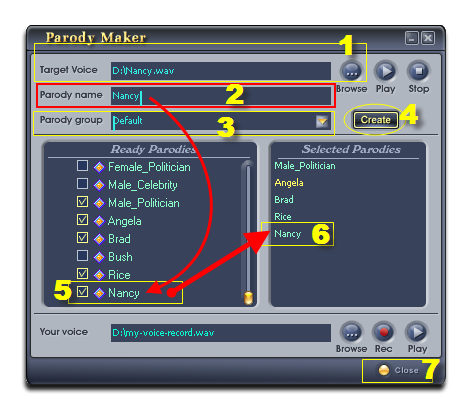 To choose an effect in a group, expand the group by double clicking the group name, then check the check box before the effect name (9). 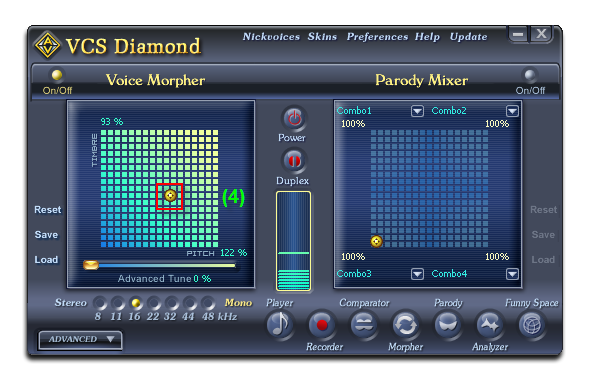 The background effect will be applied right away. 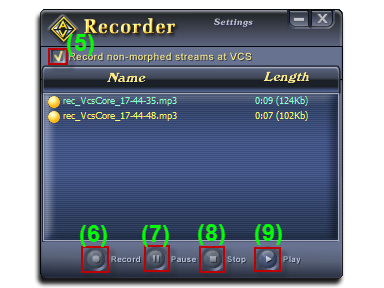 Tip: You can change the volume of the background effect by adjusting the Volume slider (10).